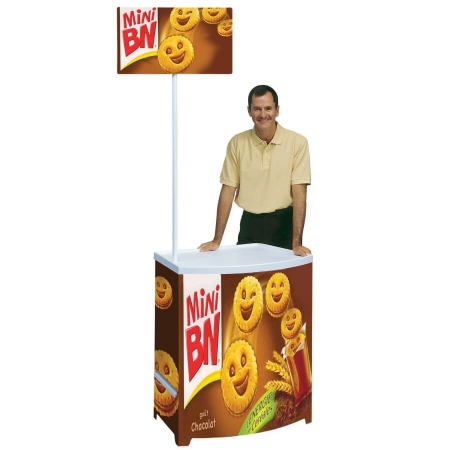 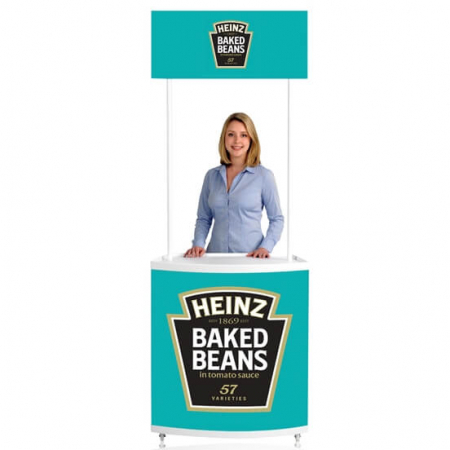 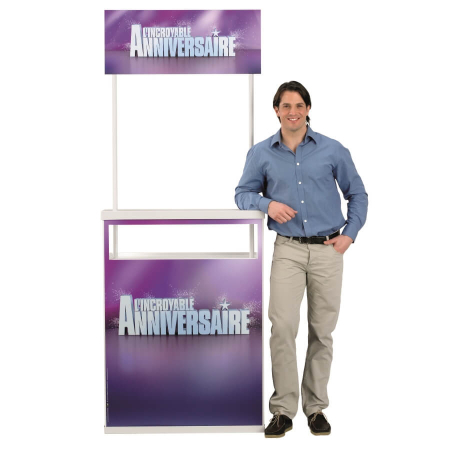 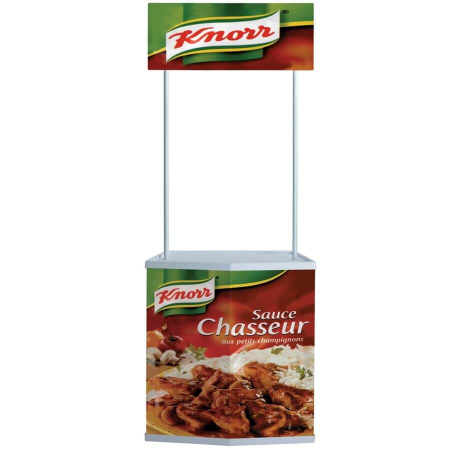 The Budget Promotor is ideal for in store food and drink promotion or product demonstration and is suitable for outdoor use. 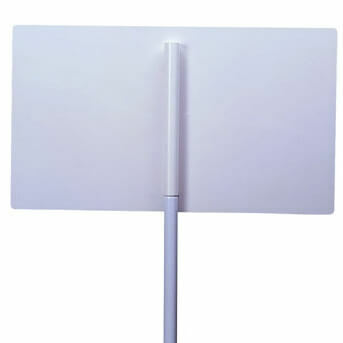 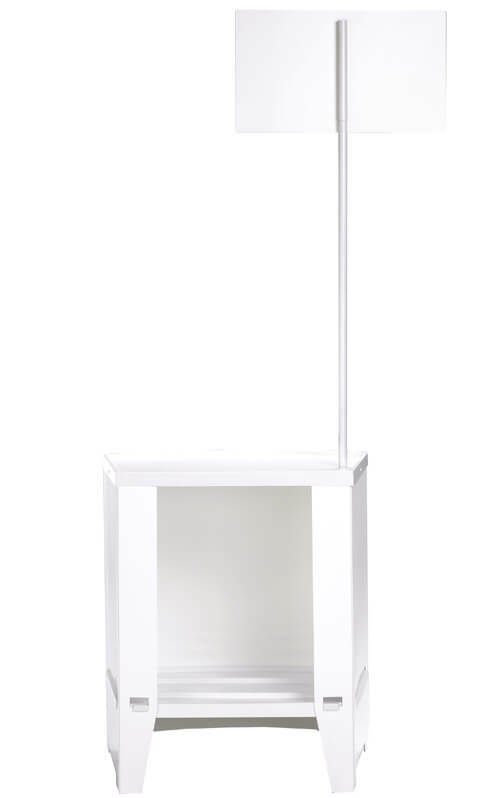 Supplied with a smaller header than our other counters, it only requires a pole set on one side to support it. 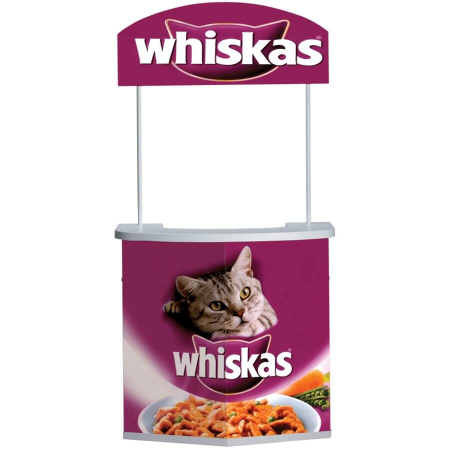 Ideally suited for food samples and displays due to its suitability to come into contact with foodstuffs (as covered by the directive 09/128/ECC).